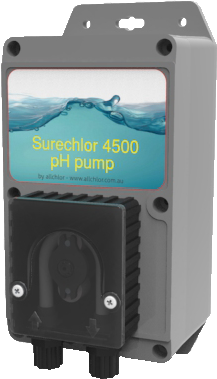 Once connected, the pH control board will recognise the acid pump. 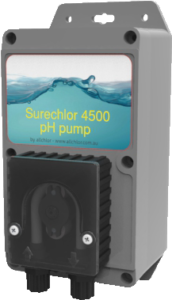 The chlorinator’s operational algorithm will map the cell size, chlorine output, winter/summer modes, etc. The unit will then estimate acid dosing needs as accurately as possible.